Today’s post is about something almost everyone in our community struggles with and how to overcome it and turn it into a positive. The other day I was hanging out with my buddy Louis Freese (A.K.A B-Real of the hip hop group Cypress Hill). 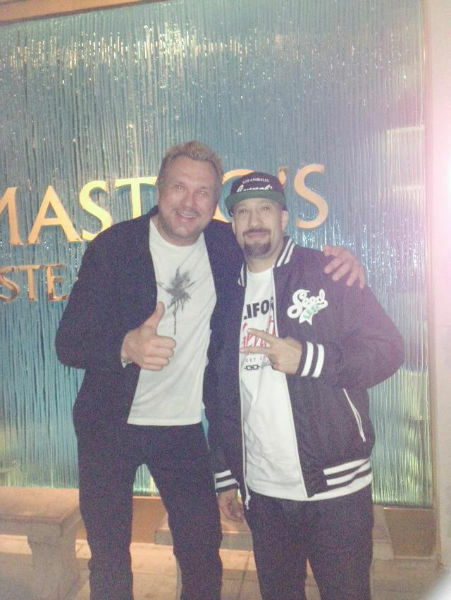 We had dinner at Mastro’s Steak House in Beverly Hills (AMAZING FOOD by the way) and talked about how he only likes to smoke flowers and stays away from the dabs, where the marijuana industry is heading, about how BReal TV has been really taking off lately, the new Cypress Hill album he’s working on, and schemed out a few collaborations we’re gonna make happen. Don’t worry though, you won’t hear me rapping anytime soon—I’ll leave that part up to B-Real. Trust me, NO ONE wants to hear me rap. No one. I can however belt out a pretty mean version of Folsom Prison Blues. In fact, I think I actually cover it better than Everlast did—his version was pretty good though—but that’s a story for a another day. R.I.P. Johnny. 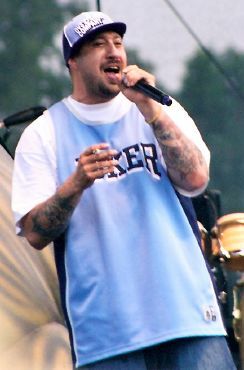 B-Real has overcome a helluva lot to become who he is today—a successful rapper, and television and film actor. I mean, the guy was raised in South Central L.A. and was shot in the lung when he was just a teenager. He went from the life of a gang banger in a tough neighborhood to an international celebrity and front line marijuana activist. A journey like this requires a person to tap into to that inner-strength and courage that lives deep down inside, bring it to the surface, and let it become their driving force. The same is true of being successful grower. If it was as easy as just throwing a few seeds in the ground and then reaping bountiful harvests, everyone and their deadbeat Uncle Kurt would be a successful grower. But it just ain’t that easy. 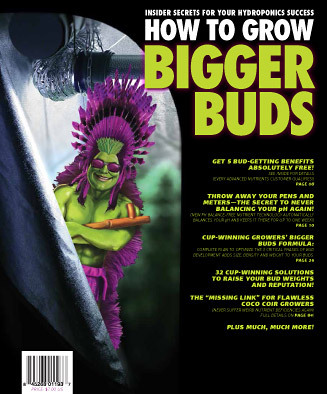 Sure, it IS a great time to be a grower—there’s a high demand for what we grow, public perception and laws are changing, and we have a deep understanding of the plant and how to produce the most awesome buds possible. 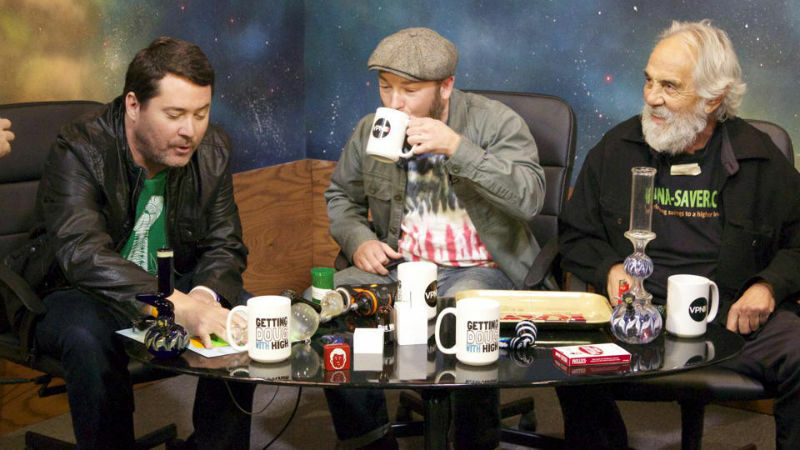 Heck, Doug Benson even has a TV talk show for celebrity pot smokers. So we definitely have it damn good these days and things are continuing to get better. And I’m not talking about the struggles with the current legal system, or with the dark shadow of crop failure—always ready to pounce on us when we’re not looking. No, this one goes deeper. Jeff Mizanskey was given a life sentence for a few pounds of weed and could literally die in prison because of it…we’re talking weed, not meth, coke or heroin…weed. Not that I’m trying to minimize those things as they are very real. 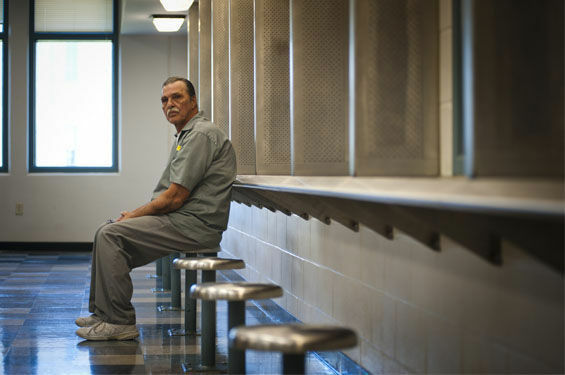 I mean, there’s guys like Jeff Mizanskey who are serving life sentences for a few pounds of weed and might die in prison because of it—without ever being able to enjoy freedom again. So yes, these struggles ARE very real. In fact, the most successful growers I know engage in this struggle the most. The key here is that they engage, instead of letting it flatten, paralyze and destroy them. They show up at ground zero ready to battle their own self-doubts, fears and resistance—the little buggers who seem to pop their nay-saying heads up whenever there’s challenge and opportunity in our lives. And the greater the opportunity, the more they pop up. Recently I spoke about this in an address I gave to the country of Bulgaria. Right now is a time of some major political shifts over there and my team and myself are working around the clock to uproot corruption, build their economy, improve their healthcare system and basically start a New Bulgaria. 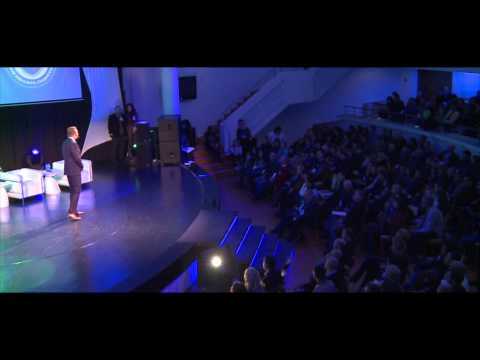 You can actually see a video of this presentation down below—it’s pretty cool. In the pursuit of those big, beautiful, green, sugary buds, you probably face these negative inner forces all the time as they try to hold you back, keep you stuck in the rut of mediocrity, and pummel your dreams into submission. 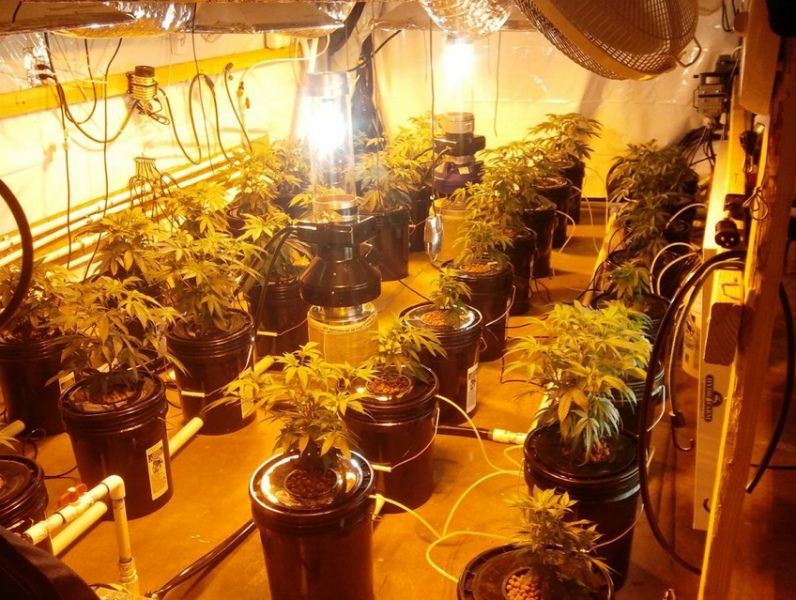 Now, if you’re just trying to grow one plant for shits and giggles and don’t care how much you harvest or how sweet and potent it is, then these things may not be a factor. 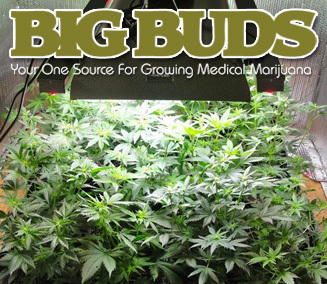 However…if you’re REALLY stretching yourself, and wanna grow the biggest, most potent buds possible, especially if your garden is the largest one you’ve ever personally grown, then there’s no doubt you’re dealing with this stuff on some level. You might be plagued with fears about what could wrong and may even find yourself getting distracted with menial tasks to avoid digging in and doing the work necessary to take your garden to it’s full and beautiful potential. 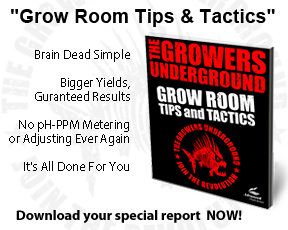 There’s a lot of growers who know they should be working on their garden, but are instead sitting around watching TV, hanging out on Facebook, or wasting their time on something…ANYTHING…other than what needs to be done to reach their growing goals. Maybe you think you’re not experienced enough to grow a fat garden and enjoy a fruitful harvest. Or you might tell yourself that you’ve failed before, and that you’ll probably fail again. Or maybe, you tell yourself that it’s not worth it, that it’ll be too hard, and you just don’t have what it takes. 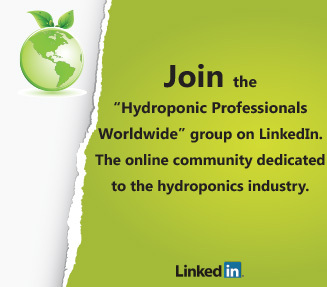 You are far beyond just capable of reaching your goals and dreams as a grower.. In fact, it’s your destiny—IF you’re willing to put in the work, go the extra mile and do whatever the hell it (ethically) takes to reach those goals and dreams. Sure, you may have some learning curves you still need to go through, but that’s how life works—you set a goal, work towards it, drop the ball a few times, maybe tweak your approach and eventually get to the pot of gold at the end of the rainbow. However, you gotta be willing to tackle that self-defeating little voice that’s constantly butting in and trying to keep you stuck exactly where you are—where’s it’s safe and cozy and you aren’t challenged to grow and evolve. I mean, God forbid, you might even fall flat on your face and skin your knees on the pavement. Ya know, fears are funny. They actually get bigger when you shy away from em’, but shrink when you face em’. When you turn away from your fears, they’ll grow faster than any garden you’ll ever see and take control of your life. But when you tackle em’ head on, you take away their lifeline—they lose all power over you and eventually shrivel up and die. The key is to just walk through them—to get comfortable with being uncomfortable. Now, I’m not saying it’s easy—especially if you haven’t built up a lot of positive momentum lately. I know what it’s like when you hit rock bottom, and feel you have no place to go. But know this, when you’re at the bottom, you do have one way you can go, and that’s up. It’s at our lowest points when we’re given the opportunity to learn the most about who we are. Sure, you’ll probably get a few scars along the way. But scar tissue is stronger than regular tissue and it can teach you what you need to know and remind you of just how far you’ve come. Nothing great was ever achieved without taking risks, falling down, and getting out of one’s comfort zone. In fact, when you’re the most uncomfortable is usually when you’re on the verge of something great. You see, self-doubt can actually be a sign that you are onto something big. Both fear and self-doubt are great indicators that let us know what we have to do. And the more scared you are of something, the more it just means you have to drop that little security blanket we all love to cling on to, and get busy. We can either let fear paralyze us and force us to retreat. Or we can take it as a big thumbs up that it’s time to move forward. It’s all in the meaning you give it. And when we move forward we get to discover the amazing life that’s waiting for us just right on the other side of our fears. Check out the video I’ve posted below where I share more on this topic with torn-down, oppressed, and fearful citizens in Bulgaria as we try to propel their own success in grasping their dreams. As you may know, I’ve been living in Bulgaria for the last six years. After seeing how the Bulgarian government treats it’s citizens— how the greedy and corrupt oligarchs run the country with no regard for it’s citizens, how the healthcare and education systems are failing, and how the majority of Bulgarians live in poverty and oppression every single day—I decided to do something about it. 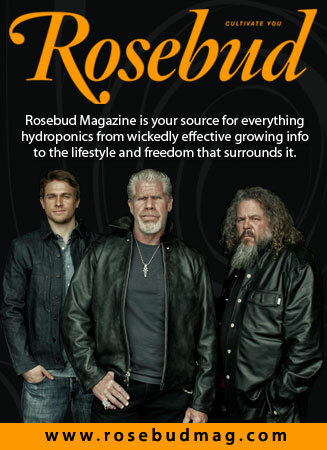 I know, big task for a guy who likes to spend his time in his garden gazing at buds. First, I started Holiday Heroes to help feed hungry families. In fact, to date we’ve fed almost 20,000 Bulgarian families. I am so grateful to the hundreds of people who’ve volunteered to make this happen. I could never have it done it without them. Next, I started a political movement called Political Change Now which has grown to over 225,000 supporters in less than 6 months. Not bad for a country of only 7 and a half million people. From there, we launched a political party called Nova Bulgaria which was officially constituted in Sofia, Bulgaria’s capital, this February. Next, we plan to root out all the corrupt oligarchs and members of parliament and replace them with people who actually give a damn about their country and will run the government with complete and total transparency. So when I’m not running Advanced Nutrients or working with my scientists to help bring you the highest quality nutrients possible for your garden, I’m running around doing this crazy stuff. 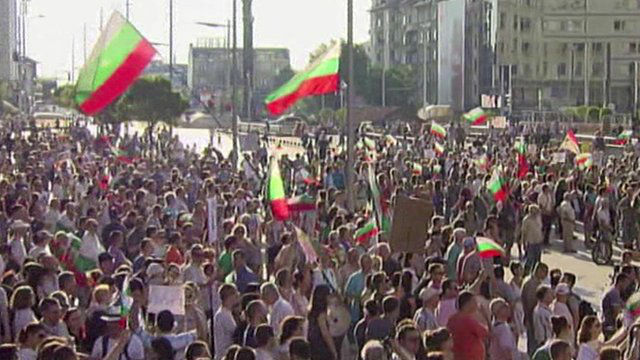 I do it because the people of Bulgaria feel completely defeated by their own government. But I have no doubt that they can, and will, rise to greatness, just like me and you are doing. And sure, self-doubt screams in my ear every step of the way, but I just flip it the bird and keep moving forward. P.S. I’d love to hear your comments below. You are a modern day hero man, you have given me some great inspiration to be much more altruistic in this life. What you’re doing for the people of Bulgaria is simply amazing! I am excited to be as successful as you one day so that I am able to give back to society in a big way. Keep it up Mike, you’re one solid dude! Really awesome work going on in Bulgaria, you deserve a medal for all the good works you are currently involved with. What filled in the gap after the communists left was in some cases not much better, one only needs look at the sumptuous wealth driven lifestyle of our ex-Ukrainian government leaders as shown on the western media after they very quickly vacated their luxury homes rather than be caught and prosecuted. Keep up the good work, the people of Bulgaria will thank you for it. 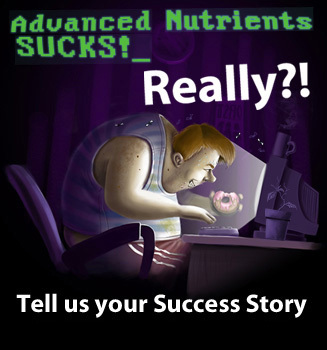 Don’t worry too much about how Advanced Nutrients are doing, we, the converted, will continue to happily purchase your products meantime. Hey Mike, Have to say impressive guy! Keep up the superb work and drive on! Very good advise! Love your inspirational attitude! Your right. Mike I am so very proud of your ambitions & generosity. Dude! You are so Inspiring! Everything I am Learning right now, reading, studing, learning, and practicing! Its ALL RIGHT HERE!,RIGHT NOW! Amazing stuff. KILL the FEAR! Stamp it out and be who you are. Then remember to ALWAYS do the RIGHT THING! YOU are The MAN!!!!!! DUDE!!! You are one of my NEW HEROS!!!!! Been reading Cash nin a Flash, by Mark Victor Hanson and Robert Allen. Its ALL about getting rid of YOUR FEARS! Amen Bragh! I stumbulled on to you at the right time. YOU ARE WAYYYYY COOLLL!!!!!!!! Loved the product endorsment for a competiter, UNHEARD OFF! BUT YOU the MAN, Right thing Right frame of Mind And I cant wait till the day we Meet! PEACE and LOVE BRO!!!! They must have the most incredible soil to grow almost anything ( itś full of nutrients and it is not stripped by over planting it has the perfect amount of sun and rain. Thatś also why even places like California have a superior grade of buds then the ones you can get in Colorado. , Any suggestions on reasonably priced places to stay? Any private home that has rooms for rent? I´ve had an Aromatherapy Skin Care practice for 26 years, starting in San Francisco, the epicenter in the early 80ś. Where many botanists, herbalist, skin care practitioners, and scientist were writing books and creating some of the first schools and Official organizations. I learned the difference is vast between the quality of the oils that are were sold. And after that introduction, everything else compares paled in comparison. Much like your buds. No one could have your buds and go back to the comercial buds available. if we could make this and all the flowers and herbs, and buds, so valuable, that these other ( farmers who are. opium growers) in Afghanistan, we could change the world. Make the essential oil market worth their while.